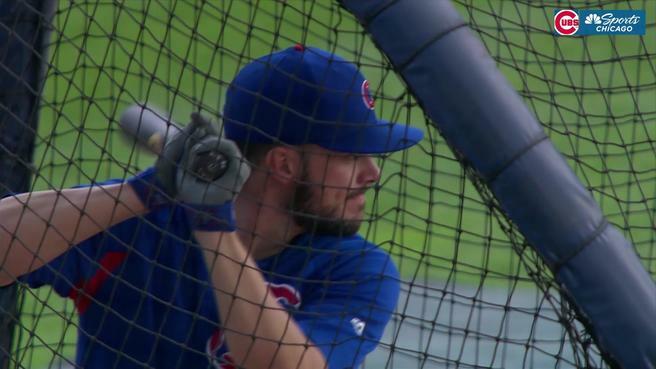 If the 2019 Cubs are going to win their division and go far in the playoffs they are going to need Kris Bryant to be the productive player he has been in the past. As we all know, the 2018 Cubs did not do as well as us fans expected. They ended their season by not winning their division and the wild-card game. This was the earliest the season had ended for the Cubs since 2014. In the 2018 season, the Cubs won 95 games in total. A big reason the Cubs lost the division by one game is that Kris Bryant was injured for a lot of the season. On May 19th, Kris Bryant seemed to injure his left shoulder by stealing his first base of the year, while playing the Cincinnati Reds. After that, he was put on the disabled list from June 26th to July 11. Then again from July 26th to September 1st. Before he was injured he hit .305/.427/.584. After his injury, he hit .252/.338/.382. As you can see, there is a big difference between his stats. Before he was injured, he was doing very well with batting, but after his injury, his numbers dropped. Kris Bryant had eight home runs before May 18th and five after. The reason for his slower production was the injury. If you look at his slugging percentage, you can tell that he lost a lot of power to hit home runs because of his sore shoulder. The results of his performance at the end of 2018 were quite different than his first three seasons. Bryant hit .288/.388/.527 for his first three seasons of being on the Cubs. Those numbers are great, but his 2018 stats (before injury) were even better. If Bryant would have stayed healthy, the Cubs would have probably won the National League Central. Since it has been around eight months since his injury, he is finished recovering. He has announced that he is ready to get back into the swing of baseball. “I feel great. I feel very strong. I can’t say enough about how good I feel,” Bryant stated. In my opinion, I think that Kris Bryant will surprise fans with his batting. I think fans should be very optimistic for Kris Bryant to hit for power like he has done in the past. With two episodes a week during the season, and one episode a week in the off-season, Ivy Envy provides analysis and opinions on the Chicago Cubs. Ivy Envy is not affiliated or associated with the Chicago Cubs or Major League Baseball.